searching for some inspiration on how to change things up a bit! Highly recommend the sheepskin rugs, they're just so soft! 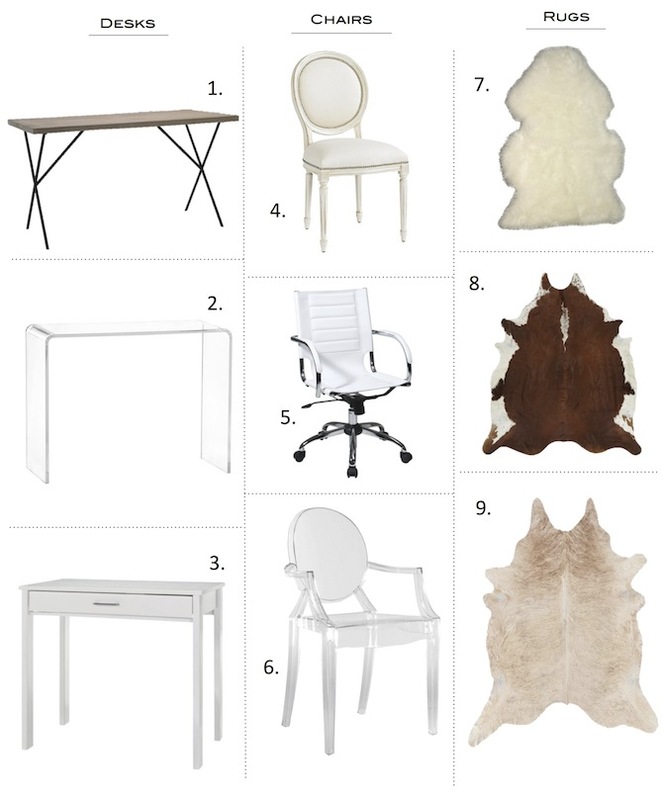 cowhide and lucite - can't go wrong girl! Im in need of a statement office chair. Love these! Love your picks white clean and chic is always good! You're like a girl after my own heart! 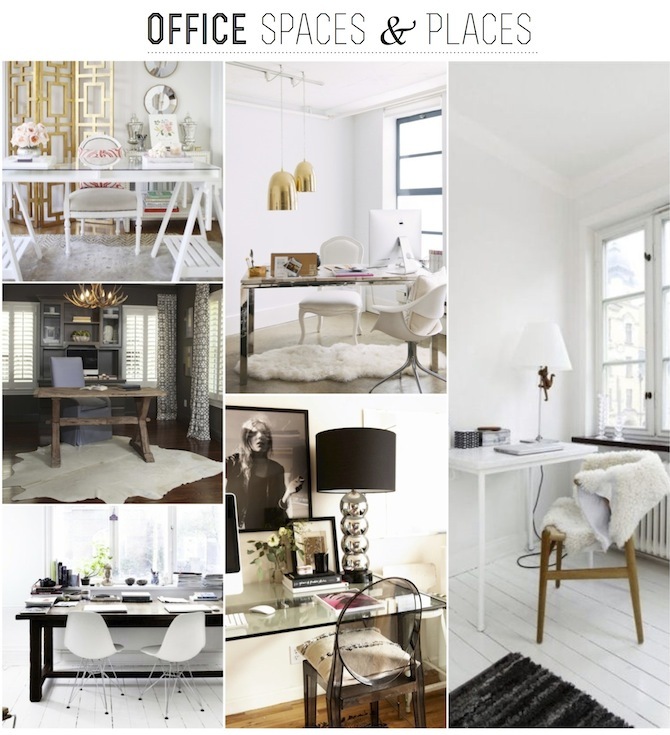 I absolutely love white offices, and I LOVE lucite chairs. Amazing picks! I am totally nesting lately--love this!! I've had my eye on that lucite desk for what seems like EONS now!! !